Internet vocab: What does 'ping' mean? To ping is to send a packet of data to a computer and wait for its return (Packet Internet Groper). For those outside of IT that doesn't help much. In practical terms to ping is to notify a website(s) that you have updated your site with new material. This is often done automatically - some sites will update a blog and simultaneously send updates to Twitter, Facebook and other social media sites. 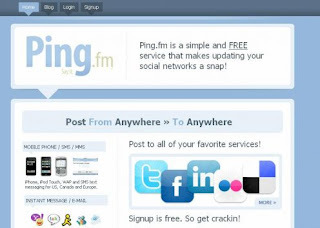 Ping technology has been a major tool used by security services to monitor traffic on websites advocating criminal activity. Don't confuse with Apple's ill-fated social network of the same name.